Combination birth control pills contain both progestin and estrogen. Progestin is a synthetic form of progesterone, a female reproductive hormone. There are various types of progestin used in combination birth control pills giving women a wide selection. There are five varieties of combination birth control pill broken into phases or cycles. One Phase: One phase combination birth control pills contain an equal amount of progestin and estrogen in all 21 active pills. Two Phase: Two phase combination birth control pills change progestin and estrogen content once during the 21 day active cycle. Three Phase: Three phase combination birth control pills change progestin and estrogen content every seven days during the 21 active pill days. Four Phase: Four phase combination birth control pills change progestin and estrogen four times during the active cycles, about once every five days. Extended Cycle: Continuous or extended combination birth control pills are taken for more than one cycle with no inactive pills between cycles. The result is prolonged doses of hormones resulting in fewer or no periods. How do Combination Birth Control Pills Work? The combination of progestin and estrogen work to stop ovulation and change cervical mucus to make it difficult for sperm to reach the egg and the uterine lining stays thin so a fertilized egg cannot implant properly. Working from three different angles, combination birth control pills are 99% effective at preventing pregnancy when taken as directed. Which Combination Birth Control Pill is Right for You? Choosing the right combination birth control pill is a decision that must be made with your prescribing physician. Your physician will take your medical history and personal preferences into consideration when suggesting a combination birth control pill. For instance, if you are plagued with long, heavy periods, an extended cycle combination birth control pill may be suggested to reduce the frequency and duration of your period. Are Combination Birth Control Pills for Every Woman? Not every woman can take combination birth control pills. Women who are breastfeeding, smoke or have issues with hypertension may not be approved for combination birth control pills. Certain medications or health conditions may also prevent the use of combination birth control. In these cases, the minipill containing only progestin may be suggested. 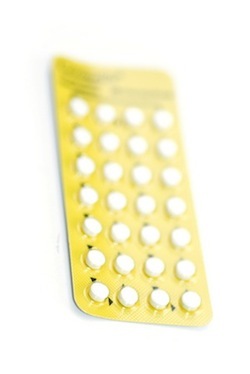 Combination birth control pills supply varying doses of progestin. Your doctor will work with you to find the best combination of progestin and estrogen to protect against pregnancy while minimizing side effects.